Volvo Construction Equipment (Volvo CE) North America has named Alta Equipment Co. the 2018 Dealer of the Year. The Detroit, Michigan-based company demonstrated outstanding performance over the last year, when it intensified its efforts to improve customers’ experiences and entered a new market, Illinois, reinforcing Volvo CE’s presence in the Midwest. 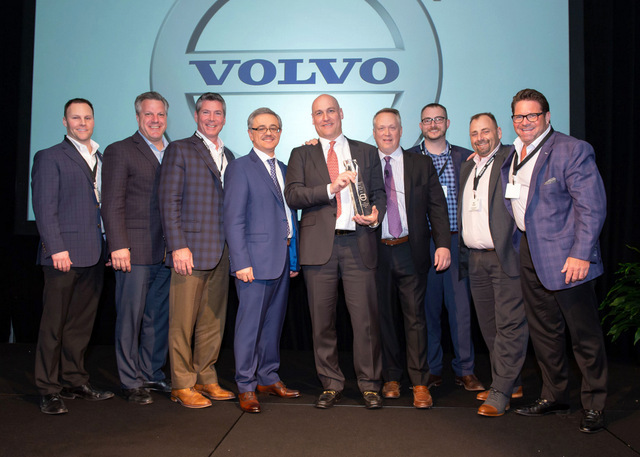 Volvo CE Dealer of the Year Award recognizes the dealership in North America that best promotes the Volvo brand and the company’s core strategies: to provide the highest uptime in the industry, offer unique customer solutions and ensure the best value at any stage in a machine’s lifecycle. Alta Equipment entered the construction equipment business in 2010 to compliment an existing industrial equipment business and was able to leverage a solid customer base to generate cross-selling opportunities. By expanding its territory into Central and Northern Illinois last year, the company boosted Volvo CE’s market share in the Midwest. Alta Equipment is one of the top performing dealers in the country and was recognized by Crain’s Detroit Business as one of the 50 fastest-growing companies in 2018. For further info on Volvo, click this link. It’s super clickable. Honest.